We know sustainability is as important to you as it is to us – that’s why we’ve made it easy for you to choose a hotel that shares your values. When you stay at an IHG Green Engage hotel, you become part of our worldwide effort to protect our environment. What is The IHG Green Engage system? The IHG Green Engage system is an online tool that gives our hotels the means to measure their day-to-day environmental impact. Hotels signed up to the system can track how much energy, carbon and water they’re using and how well they’re managing waste. At the same time they can choose from over 200 activities designed to help them use fewer resources, improve their carbon footprint and reduce their water use. We created The IHG Green Engage system to help us design, build and run greener hotels. Every time you stay at an IHG Green Engage hotel you’re boosting our efforts. How can you make a difference by choosing an IHG Green Engage hotel? We’re one of the world’s largest hotel companies which means every single thing we do can add up to a big difference, from smart design and carefully selected lighting to bio-friendly cleaning materials. 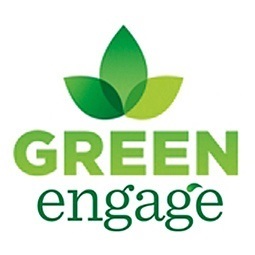 By choosing an IHG Green Engage hotel you’re helping too. Thank you.